Kalinga Institute of Industrial Technology Entrance Exam is a university level entrance examination organized by Kalinga Institute of Industrial Technology (KIIT). It is organized for providing admissions in UG & PG engineering courses including BBA/BCA and MCA offered by this university. Admissions to all courses will be done only through KIITEE exam. 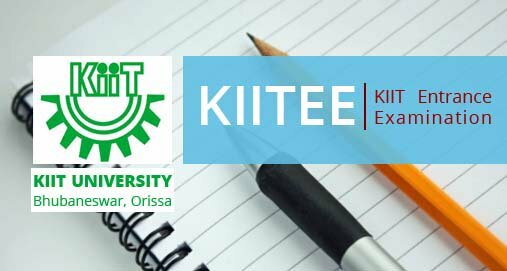 KIIT started as a modest education institute in 1992, now it is a multi-disciplinary University respected worldwide due to its rich educational culture. The campus has nearly 25,000 students from all over corners of India and more than 1800 academic and research staff. B. Tech:- Candidates must have passed or appearing in 10+2 exam with minimum 60% marks in PCM group.For B. Tech (Dual Degree), must have passed 12th exam with Physics, Chemistry and Mathematics/Biology/Biotechnology subjects with at least 60% marks. Must have born on or after 01 July, 1998. B. Tech (Lateral Entry):- Pass in three years diploma course in Engineering with minimum 60% marks. Candidates should have born on or after 01 July, 1995. B. Tech in Architecture:- Pass in 12th exam with mathematics subjects securing minimum 60% marks. Pass in NATA exam.Must have born on or after 01 July, 1998. BBA:- 12th pass in any stream with minimum 50% marks. Should have any one of the subjects Mathematics /Business Mathematics / Economics/ Statistics at 10+2 level.Must have born on or after 01 July, 1998. BCA:- 12th pass from any stream with at least 50% marks and should have studied Mathematics at 10+2 level.Must have born on or after 01 July, 1998. M. Tech (Lateral Entry):- BE/B. Tech or equivalent degree in respective branches of engineering. First class MCA/ M. Sc in (Comp/IT/ETC). MCA/ MCA (Lateral Entry):- Any graduate with at least 50% marks and should have studied Mathematics at 10+2 or graduation level.Should have born on or after 01 July, 1995. The Application Form will be available only online through the official website . The authority will release the application form in the second week of December and available till the fourth week of March. The application form is free of cost; candidates will not be required to pay any fee for application form. Candidates are required to fill the application form correctly and submit it. In the application form , the candidates are also required to choose the 2 test centres according to their suitability. Details about the important dates and application fee are mentioned below. The exam will be conducted through CBT (Computer Based Mode). The question paper will contain objective type question; each question is followed by four options. For each correct answer four marks will be provided and one mark will be deducted for wrong answer as the negative marking. Admit Card will be available from the first week of April. The admit card can be downloaded through the official website. Candidates note down that the admit card will not be sent in hard copy. The candidate can download their admit card by entering their application number, gender, and date of birth. Every candidate must bring the admit card to the examination hall as the candidate’s entry will be restricted in the absence of this official document. The result will be published by the authority in the third week of May. A separate merit list will be prepared for all courses on the basis of marks obtained by the candidates in the entrance examination. The rank card can be downloaded from the official website of the university or shall be sent to the qualified candidates. The cut-off will be decided by the university which helps the university in limiting the number of candidates for the counselling procedure. There are several factors associated with the cut-off such as annual intake, the level of exam, marking style, a number of applicants etc. Counselling will start from the first week of June. Counselling and seat allotment will be strictly based on the merit list. Document verification will be done at the time of counselling. Candidates must note that the exam will be held only in the given centres. Candidates can choose the exam centres while filling up the online Application Form. The Exam Centres once chosen cannot be changed for any reason.